"Despite the many successes I have had in cooking over the years, a truly good batch of biscuits has been something that has always eluded me. That is, it eluded me until about three weeks ago. I have tried many different recipes and been frustrated no end as I watch a friend of mine (who learned from his grandmother) toss together ingredients with no measuring equipment at all and consistently come up with incredible results. "You can't mix them too much," he would always say, but mixing was the least of my concerns. At first, the recipe from Smokehouse Ham, Spoon Bread & Scuppernong Wine looked like it was going to be another massive failure. After following the instructions carefully--and not over-mixing--I ended up with biscuits that were raw in the middle and tasted unbearably of baking powder. Rather than throw my hands up at yet another recipe that went bad, I pulled the flour out and sat down with the book again. "This was an old recipe, I figured, so I should assume it was using homemade single-acting backing powder. The commercial double-acting stuff I had should allow me to cut the amount in half, and that would rid the biscuit of the horrendous salty, soda taste. I cut the salt slightly as well for good measure. The final adjustment was for the cooking time. Supposedly, these large-sized biscuits could cook in a 350 degree wood stove or 500 degree electric for 10 minutes. I don't see how that is possible. My biscuits were well-browned but quite decidedly raw in the centers. I fiddled and found that 450 for 15 minutes worked really rather well." 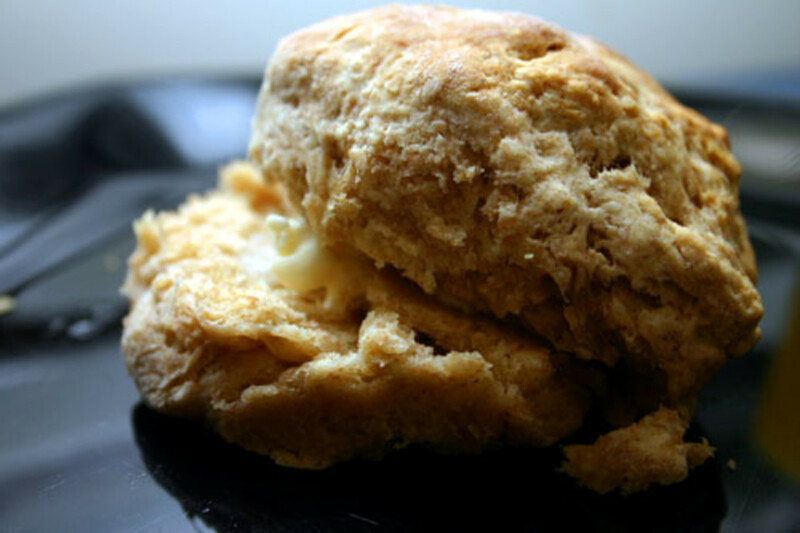 The type of flour you use will have the most effect on the texture of your biscuit. We found that King Arthur All Purpose Flour was too glutinous for good biscuits. They were by no means bad, and they had a golden color that was quite pleasing, but they lacked the cloud-like fluffiness that Morgan wanted to achieve. King Arthur (and other non-Southern white flours) tend to also be 'thirstier'--you will need two or three additional tablespoons of milk to get the right consistency of dough. Our flour of choice has become White Lilly All-Purpose Flour (not the self-rising variety). It produces a biscuit that is so light it practically floats off the plate. * See note above about flour types. 1. Preheat oven to 450 degrees Fahrenheit (230 degrees Celsius). 2. Mix the flour, salt, soda, and baking powder together in a medium-sized mixing bowl. 4) Now comes the tricky part--the mixing. Make a well in the center of the dry mixture and add all of the milk. Using a spoon, stir the mixture. Pay special attention to scraping the edges of the bowl so that the dry flour there has a chance to get wet. You only want to stir until the milk is incorporated into the dry mix and there are no large areas of powdery flour remaining. Don't over-mix here. The dough after mixing should be lumpy, sticky in places, and a bit shaggy in the driest areas. 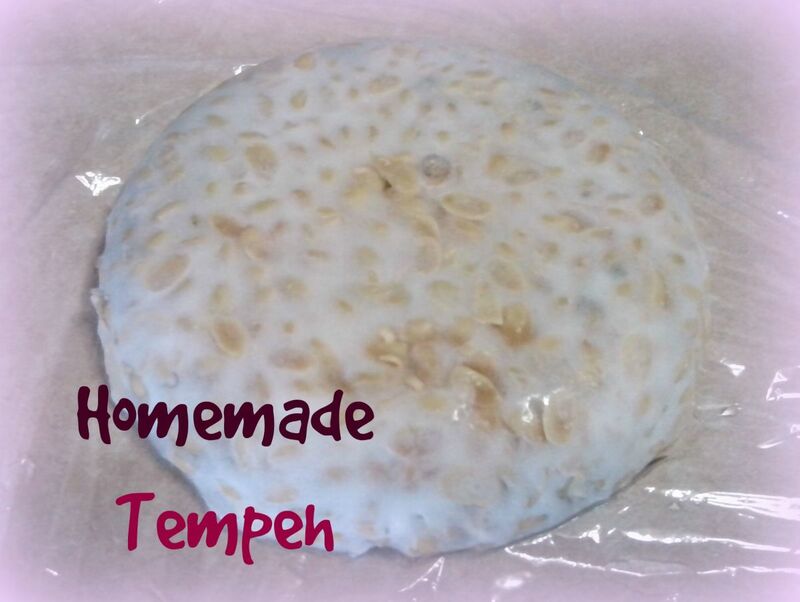 Using your hands, leave the dough in the bowl and carefully knead it about three times. Just lift it out as best you can, fold it in half, then press it down. You may want to sprinkle some flour over it to keep your hands from getting coated. 5) To make "cat head" biscuits (so called because they are large--about the size of a cat's head), simply pinch off a ball of dough about 2 1/2 inches across and pat it into a thick patty. Put the shaped biscuits into a stoneware pie plate or large cast iron skillet (or on a cookie sheet). Bake for 15 minutes or until the tops of the biscuits are a light golden brown. 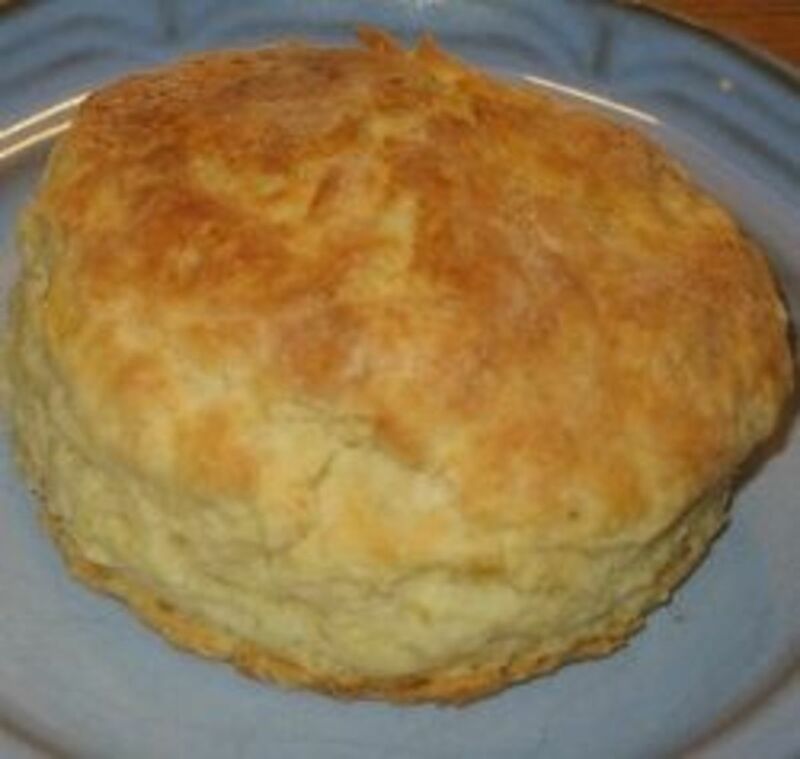 6) Serve with butter, jam, honey, ham gravy, sausage gravy, sawmill gravy, or whatever your favorite biscuit topping is. What an interesting name! I had to read the recipe just to see why they were called "Cat head"! true about the flour. I needed to add some more buttermilk for mine. All in all some good biscuits though. The kids loved them. Long story short. Thank You, Thank You ! I moved to Colorado about a year ago. 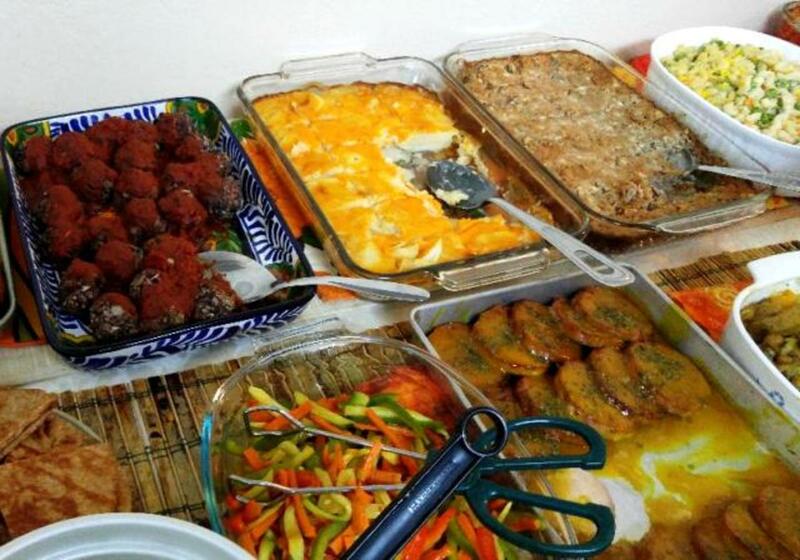 I have not been in my element since, I miss my Grandma's & Mom's cooking. At 45 you would think that I should know how to make Cat Heads. I have being so home sick lately. As anyone could image being born a raise in south Florida, My Florida cracker roots run deep & I am struggling to get into the western life style.I knew after I tasted that familiar Taste of Home my day was going to be wonderful. Have a blessed day. Well I have to say that they were always called cathead biscuits in my house growing up and it was a Tupperware bowl with a bag of flour for biscuits only. Add baking powder in center of well a pinch of salt and I remember a hand scoop of crisco break it up adding it into well of flour add milk till ya get it just right. Then a hand full of dough pat it put it in pan and cook'em. I have been looking for the Cathead Biscuit recipe ever since the Country House in Elk Park, NC closed. This is great and I thank you! The magazine, Cook's Country, has a recipe for cat's head biscuits in the March/April 2010 issue. They provide a good alternative to the White Lilly flour, which I can't seem to find north of the Mason-Dixon line -- use half all-purpose and half cake flour. 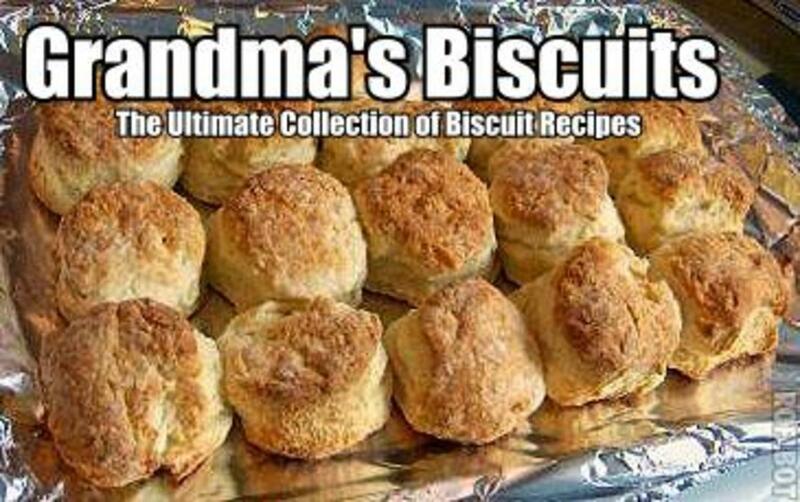 Their recipe also calls for 4 tbsp of shortening and a whole stick of butter, which seems excessive but turned out great biscuits. I'm going to try your recipe next, since yours omits the huge amount of fat. Thanks for posting this! Good to find a decent recipe for one of my very favorite comfort foods of all time. Back when I was in college many years ago and well before caterers and 'food service' contractors we had a cafeteria cook who would make these from scratch. The magic that came out of her kitchen was that (gasp) instead of using lard she would - on occasion - use duck fat. It might sound a bit foo-foo but I remember those biscuits being the first things to sell out every morning just before the first class. It might also have everything to do with the fact that she and her small staff made the best red-eye gravy ever concocted in southwest Virginia. If I were asked what my Last Supper would be I'd have to include those biscuits and gravy as art of my meal. I just got internet. Made biscuits one day and someone commented when I called them catheads. Grew up in south now living in Alaska. I was taught to make a well with the lard in the center of the bowl and slowly incorperate the flour, milk and lard together with your hand til it felt right. I was always told the only way to know it was right was by feel. Will try your recipe. Glad to know I'm not the only one who Has heard this phrase. Thank you so much for posting this! I had lost my copy of this recipe, and I wanted it back. Thought my mom made up that name "cat head biscuits"! Was excited to have the recipe. She isn't here anymore to show me how and I sure wish I had paid attention when she tried to teach me! Thanks (Morgan) for the Cats-Head biscuit recipe. Good job! Found your site through Google... 'preciate it.